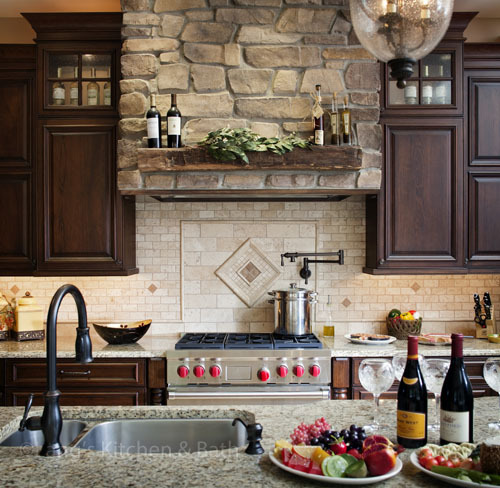 Keep up with the latest trends in home remodeling and design with Lang's Kitchen and Bath! 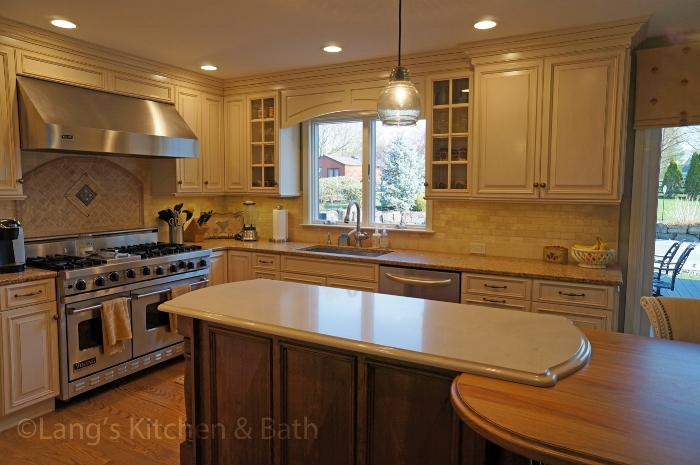 We are passionate about kitchen and bath design, and most of all we love seeing how the design process enhances the lifestyle of our customers. In our blog articles we share some of the tips, ideas, and latest design trends that help inspire us everyday. We hope you find this page useful! We cannot get enough of kitchen storage, in all its many formats and styles. Storage is the key to a well-organized and efficient kitchen. It also makes keeping your kitchen clutter free and clean much easier. While the focus for kitchen design storage options is usually on what is happening behind kitchen cabinet doors, there are also many options for open storage. This may not work for every kitchen remodel, but there are many reasons why you should consider including open storage in your kitchen design. 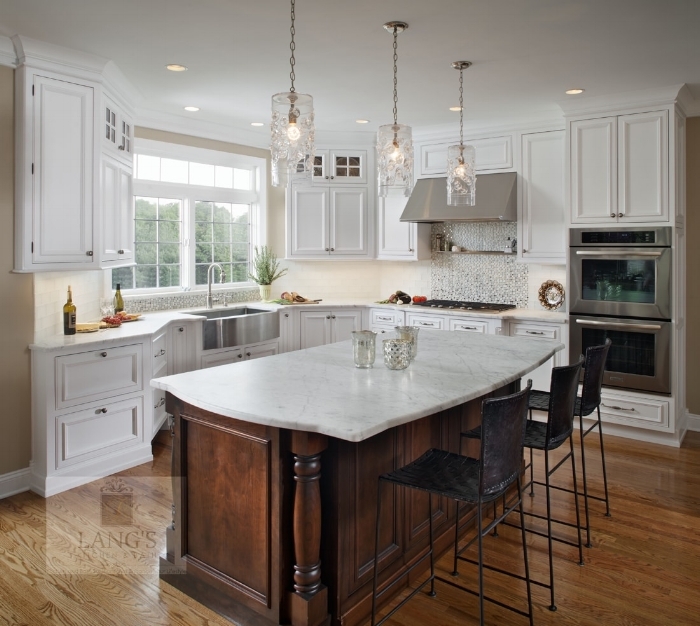 First, it allows you to use space that may otherwise not be compatible with a full kitchen cabinet. Open storage, such as floating shelves, allow more light to flow through the space, creating an airy kitchen design style. They are also an opportunity to showcase items you do not want hidden behind doors, such as cookbooks, fine dishes and glasses, or items of artistic value that enhance your design. 1. 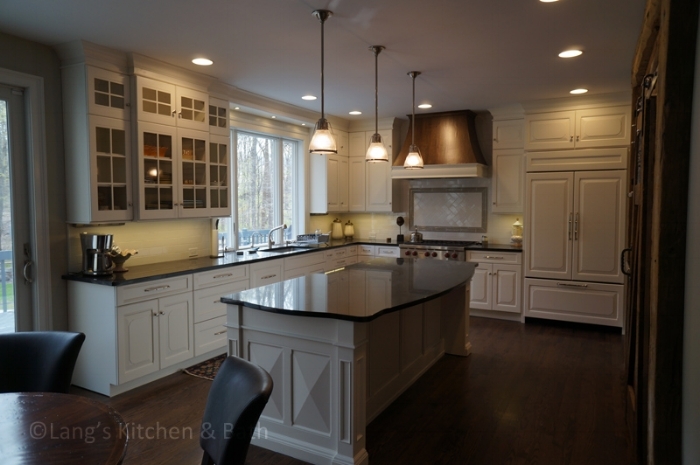 Glass front cabinets are a compromise between closed and open storage. They offer a way to display items while still having them behind closed doors. This is ideal if you are concerned about delicate items being too exposed on open shelves, which is a greater risk in a home with young children or pets. 2. Open shelves or floating shelves, on the other hand, utilize space that may otherwise not be suitable for kitchen cabinets but still offer valuable storage. Use them for cookbooks or other items you want to be easily accessible. Or, create an eye-catching display, perhaps using this space to arrange items in a bright accent color. 3. Include a shelf above a window to display items, or put one behind the range for an extra shelf to keep spices or oils you use frequently. 4. Add open shelves to the end of a kitchen island to keep extra cookbooks, cooking supplies, or anything else you don’t mind having at a low level accessible to anyone (including children). 5. Create a vignette in an area of the countertop you would not otherwise use for work space. While we generally want to avoid storing items on the countertop, using a space such as a corner that does not interfere with your work can be useful. Group together items you need to be accessible in an attractive manner, or create a beautiful display using a basket or serving tray to arrange items. 6. A plate rack can be an eye-catching addition to some kitchen designs, particularly a farmhouse style kitchen remodel. 7. Use hooks to create a display and handy storage for coffee mugs at a beverage station or for pots near the cooking area or above an island. 8. Magnetic strips are another easy and creative way to store items such as knives, kitchen scissors, or even magnetic pots of spices. These items are easily accessible and can create a pleasing display when arranged properly. Examine your kitchen design style and storage requirements, and then consider which solutions are best for you. Kitchen cabinets with customized storage inserts are a must have for any kitchen remodel, but open storage can be both useful and attractive when done properly. Contact us today on 215-968-5300 to discuss your kitchen storage requirements!